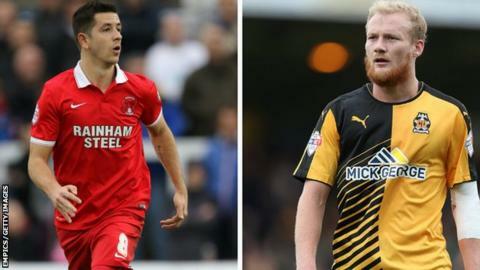 Exeter have signed midfielder Lloyd James and ex-Cambridge forward Robbie Simpson on free transfers. Former Wales Under-21 international James, 28, made 138 appearances for the Leyton Orient over four years before leaving the club earlier this month. Simpson, 31, counts Coventry and Oldham among his former clubs and left Cambridge this month by mutual consent. He scored four times in 36 games last term and played under Exeter boss Paul Tisdale for England Universities.